This PE class is designed to help your kids improve fitness and motor skills. School-age children will get a structured based class through individual and group activities. 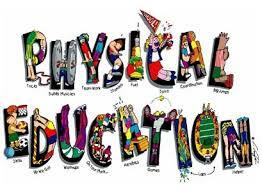 This program provides physical education classes for children participating in Home School Education. Participants will participate in age appropriate activities that include fitness, fundamental and sport specific skills. Classes consist of a warm-up, stretch, sport/game, cool-down and stretch. Classes will be held in the gym. Homeschool PE is designed to help improve your child’s strength, increase endurance and energy, build self-esteem, improve coordination, and create healthy habits. To foster in kids a love of physical activity and play. To instill a need for physical fitness in each child. To give kids an opportunity to learn about teamwork. To develop a sense of fair play and cooperation. Fee: $35 for 1st child, $20 for 2nd child, $15 for each additional child, per month.